The Cassini spacecraft continued to track Saturn's moon Prometheus after it disappeared behind the planet, capturing a few fortunate, high-resolution views of the clouds in Saturn's high north. PIA10463 was taken an hour earlier, just before the moon vanished behind Saturn. Later, when Prometheus reappeared from behind the planet, Cassini was waiting to take more images. 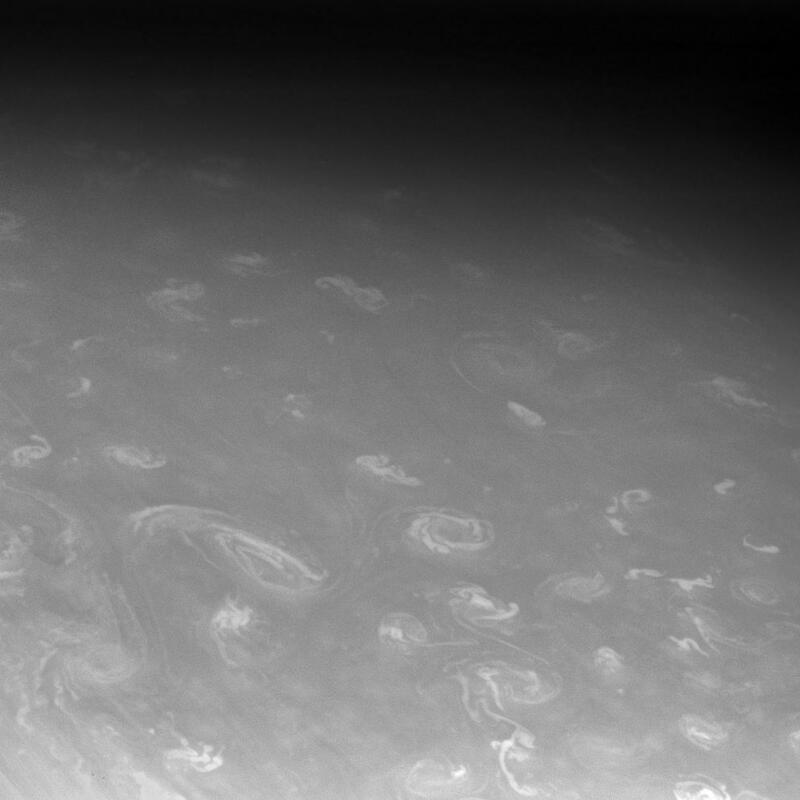 The view is centered on a region located about 70 degrees north of Saturn's equator. 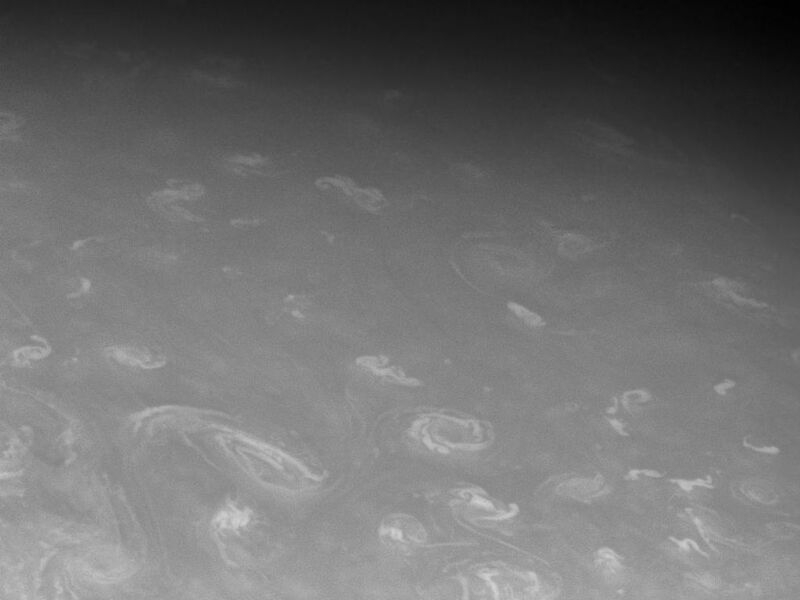 North is toward the top of the image and rotated 28 degrees to the right. 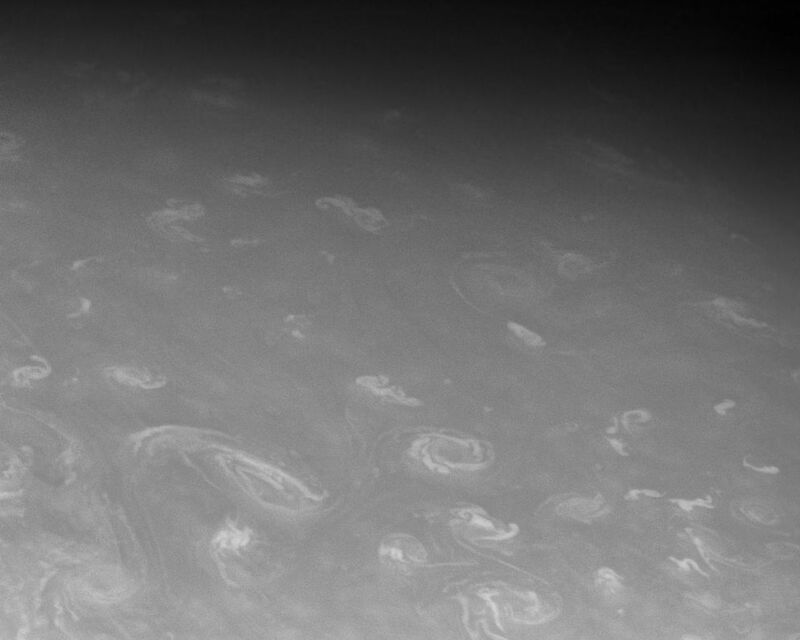 The vortices seen here are among the swarm of bright spots seen in PIA10449, just south of the north polar hexagon. 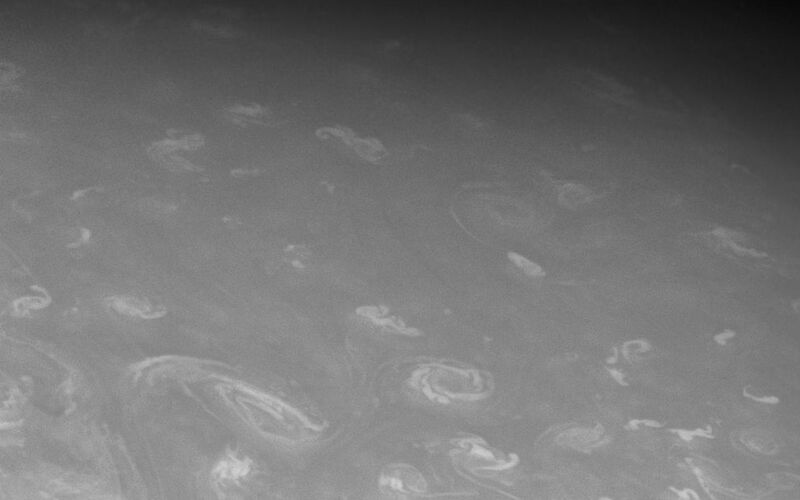 The image was taken in visible light with the Cassini spacecraft narrow-angle camera on Aug. 9, 2008. The view was acquired at a distance of approximately 1.2 million kilometers (746,000 miles) from Saturn. Image scale is 7 kilometers (4 miles) per pixel.